Funkin Puree are a well-known brand of fruit purees commonly used in most bars and restaurants. 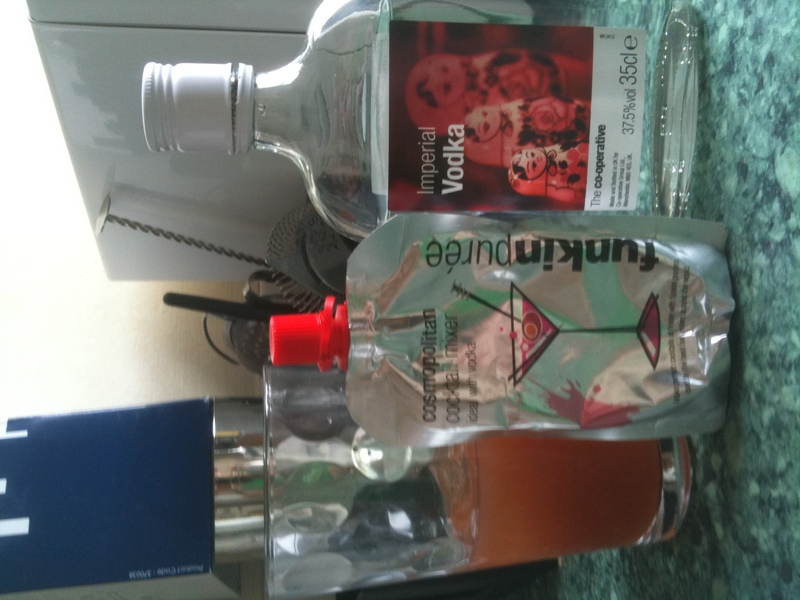 When I contacted Funkin regarding the use of their purees back when I worked at Casa Tapas, they sent me 3 ready-to-serve pouches to try – Cosmopolitan, Mojito and Passion Fruit Margarita. The Mojito pouch has unfortunately long gone but today I review the other two classics. 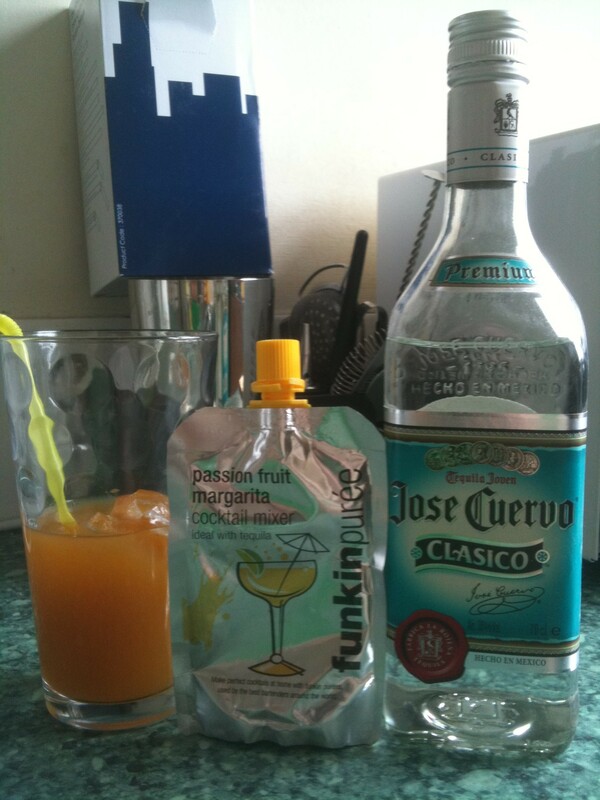 I mixed the pouch with 1 25ml shot of Jose Cuervo Silver and stirred in a high-ball glass. As you can see by the picture, the cocktail would look a lot better with more ice in it – I only used two cubes for a short drink. As you can imagine, the distinctive smell of passion fruit hits your nostrils straight away and it seems to mask the tequila aroma. Upon taste there was a subtle sweet passion fruit texture until it hits your throat where it seems to release itself on your senses. You get the slight kick of the tequila but the mixer seems to subtly over-power it and I think it works well. If you were to choose a tequila to go with the Passion Fruit or even the classic Margartia they have, try to edge for the silver variety. I think gold tequila may clash a little too much with the mix and take the enjoyment away from you. This was hard to put my thumb on. The taste gave me a slight cranberry and lime on the palate, yet no hint of vodka (although admittedly that may have to do with the choice of the only open bottle of vodka I had – Co-op Imperial). The aromas gave off the same ingredients, yet they seem to mix quite well together. Don’t understand? I think what I’m trying to say is that it’s not the same Cosmopolitan you would order in a bar, and it doesn’t look like one either. But if you did a blind tasting of this, although a little thicker in texture, the only drink you would think is the Cosmo. I think it’s a hard drink to master in a puree style, it’s a little delicate if ordered fresh and is well-known to a lot of people. But I think they have just about done it. Its well worth a try, even if it’s just to check off your drinks list.